He rides in the game like heavy cavalry getting into position for the assault. He trots about, keenly watchful, biding his time, a matter of tactics and strategy. Abruptly he sees his chance, and he gathers his pony and charges in, neither deft nor graceful, but full of tearing physical energy—and skillful with it too. He bears down opposition by the weight of his dash, and strikes the ball. Did I say strike? He slashes the ball. When several of the proffered infantry cadetships were not accepted, Winston moved up on the list. Lord Randolph wrote to the Duchess in September, “…I am very glad that Winston has got an infantry cadetship. It will save me £200 a year. I shall see the Duke of Cambridge [commander-in-chief of the Army] when I get back & remind him about the 60th Rifles.”9 But Winston, who rather fancied the cavalry and horses, had other ideas. Churchill joined the 4th Hussars in Aldershot the same month. There he began intensive training as a cavalry officer in preparation for his assignment in India in September, 1896. As his father had feared, finances were a problem. As a schoolboy Winston had constantly begged his parents for money and was admonished by them for extravagance. No change in habit occurred at Aldershot, but family income was more limited after Randolph’s death. It was a stretch for their mother to maintain Jack, Winston and herself in the way they would all like. Winston kept asking, because his tastes were well above his modest Army pay scale. On this occasion his mother helped. Churchill added to his stable which, owing to the vigor of the game, required more than one pony. 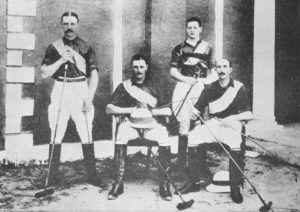 “I had now five quite good ponies, and was considered to show promise,” he recalled in My Early Life.17 For six months he lived at home in London and played polo at Hurlingham in Essex and Ranelagh. As summer ended the 4th Hussars marched to Hounslow and Hampton Court, gave up their cavalry chargers to a returning regiment, and sailed for India. 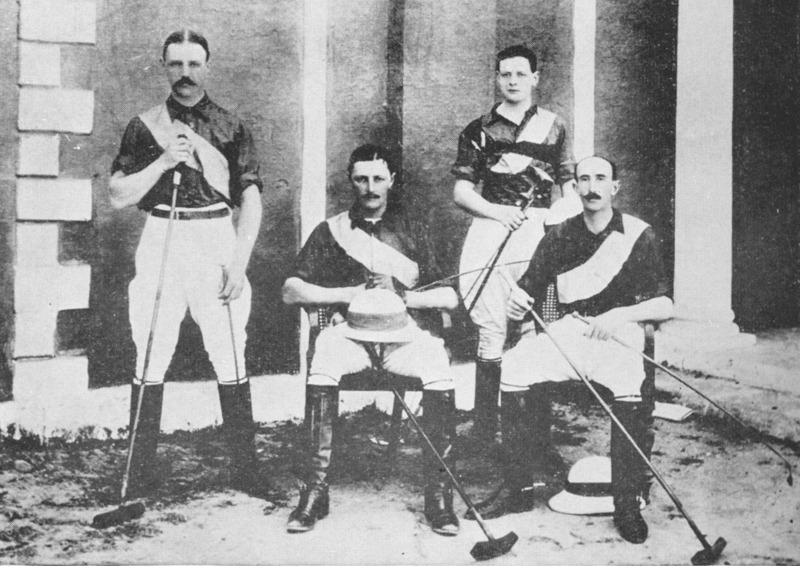 During the voyage the regiment decided to support its polo team by “subscriptions” (regular payments). Because it took so much time to train polo ponies, new regiments were not expected to do very well. But the 4th Hussars were determined to defy tradition. Stationed in Bombay, where the Hussars would first land, was a native regiment with British officers, the Poona Light Horse. 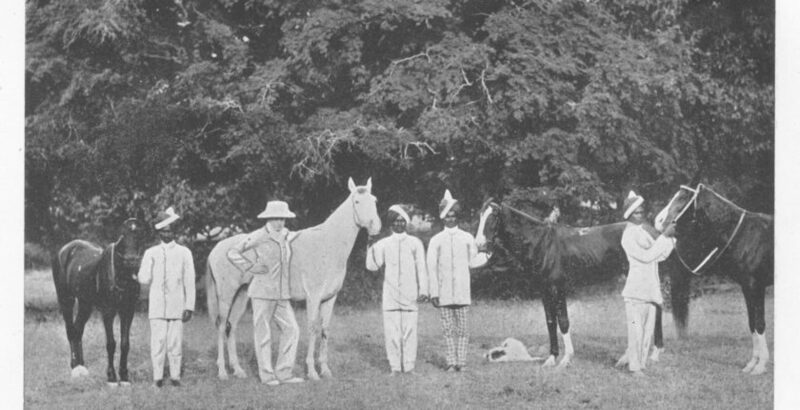 Most of the horse trading occurred in Bombay, and the Poona were thought to have the best ponies. In what Churchill called an “audacious and colossal undertaking,” the 4th Hussars bought a complete polo stud of twenty-five horses from the Poona. This gave them a huge advantage of well-trained ponies immediately upon arrival at their duty station, Bangalore in the south of India. “Our Imperial No. 1,” Punch, 15 June 1921. Churchill was a noted polo player well into his fifties. 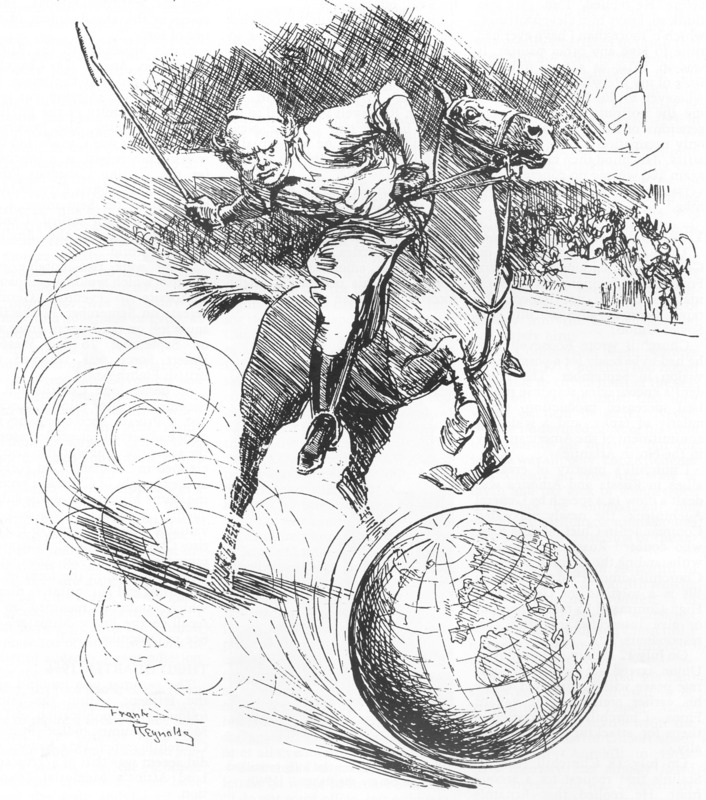 By this date he was Colonial Secretary, pronouncing on the future of the Middle East, officiating at the opening of an Imperial Conference in London—and still playing polo. In March Churchill wangled an appointment to Tirah Expeditionary Force for war reporting, but was disappointed when no fighting occurred. Hoping for more action in the Sudan, where General Kitchener had been appointed to reconquer that territory on behalf of Britain and Egypt, he engaged in mighty efforts for a similar appointment. After much correspondence he succeeded, being attached to the 21st Lancers. This took him to the Nile valley and provided material for his second book, The River War. Churchill would not return to India again, and would soon leave the army. He found it extremely expensive to be a subaltern of hussars, whereas writing could be very lucrative. His Malakand Field Force “earned me in a few months two years’ pay as a subaltern.”30 He was about to publish his novel Savrola (first entitled Affairs of State) and had offers to write biographies of his father and his ancestor the First Duke of Marlborough. Barbara Langworth is a New Hampshire publisher and editor. “Churchill and Polo” was first published in 1991. This updated, amended version is published by kind permission of the author in response to reader requests for more information on Churchill’s and polo. The article incidentally demonstrates the rich store of material available in The Churchill Documents, published by Hillsdale College Press. 1 Joseph Laffan Morse, ed., The New Funk & Wagnalls Encyclopedia (New York: Unicorn Publishers Inc., 1949), 9746. 2 Patrick Thompson quoted in Lord Butler, fwd., The Churchill Years 1874-1965 (New York: The Viking Press, 1965), 70. 3 Randolph S. Churchill, ed., The Churchill Documents, vol. 1, Youth 1874-1896 (Hillsdale, Mich., Hillsdale College Press, 2006), 413-14. 4 Randolph S. Churchill, Winston S. Churchill, vol. 1 Youth 1874-1900 (Hillsdale College Press, 2006), 305. 5 The Churchill Documents, vol. 1, 440. 6 Winston S. Churchill, My Early Life (London: Thornton Butterworth, 1930), 50. 7 The Churchill Documents,vol. 1, 386. 17 My Early Life, 103. 18 Winston S. Churchill, vol. 1, 305. 19 The Churchill Documents,vol. 1, 693. 20 The Aga Khan, “A Promising Polo Player,” quoted in Henry Anatole Grunwald, ed. Churchill: The Life Triumphant (New York: American Heritage Press, 1965), 130. 21 Randolph S. Churchill, ed., The Churchill Documents, vol. 2, Young Soldier 1896-1901 (Hillsdale, Mich.: Hillsdale College Press, 2006), 701. 22 Winston S. Churchill, vol. 1, 306. 23 My Early Life, 59. 24 Randolph S. Churchill, ed., The Churchill Documents, vol. 2, Young Soldier 1896-1901 (Hillsdale, Mich.: Hillsdale College Press, 2006), 788. 30 My Early Life, 170. 31 The Churchill Documents,vol. 2, 984-85.